Decorating a house is hard work! What to do, what not to do, what you need, what you don't need and so it goes. I've pinpointed 11 common mistakes that we can easily make when we decorate our home. The good news is that are are pretty easy fixes! 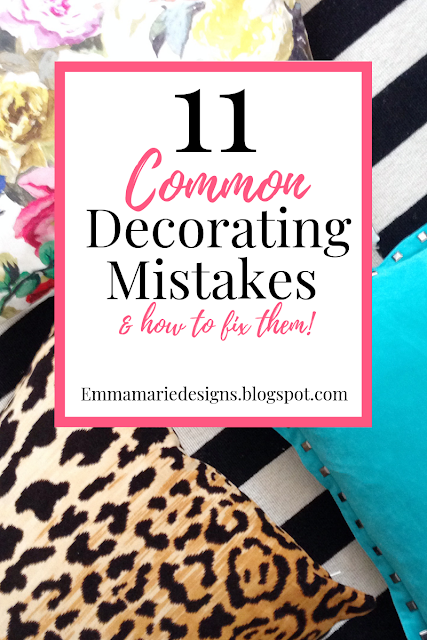 So without further ado, here are 11 things to avoid and how to fix them. By now, I am sure that you all have heard that Pantone's 2017 color of the year is Greenery. I really like this new color! It is soothing, has a sense of calmness, fresh, young, and energetic all at the same time. It reminds me of Spring when everything is new, young, and growing. You know how you see something so pretty and you say to yourself "I could totally make that"? 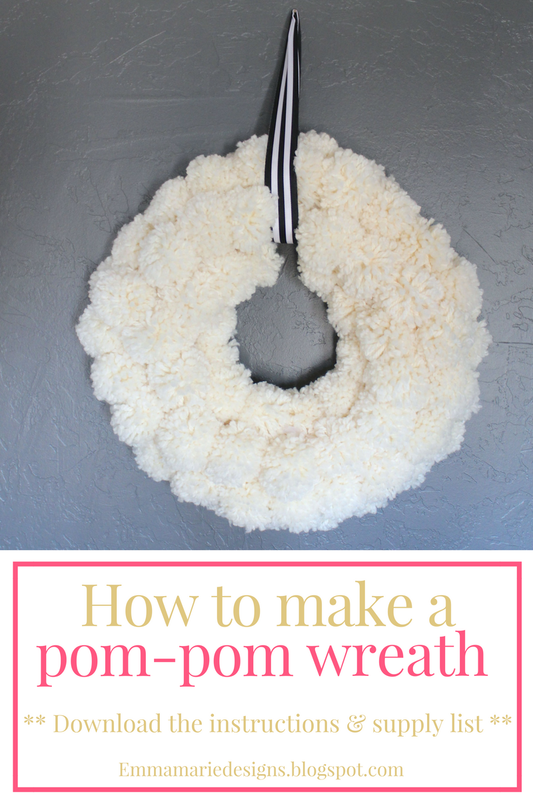 Well, that is just what happened to me when I saw a pretty Anthropologie inspired pom pom wreath! It's perfect for that farmhouse feel. I'm been wanting to make one for awhile now, and when I finally bought the supplies, sat down, and make it it was so easy that I couldn't believe that I hadn't made pom poms before! Now I want to add pom poms to all the things! We just celebrated my oldest daughter's birthday a couple of weeks ago and I can't believe that she is 5! There is a special something about the 5th birthday, don't you think? It's like your baby is now stepping into the next stage of childhood. And I better stop there or else I'll start to get all teary-eyed! 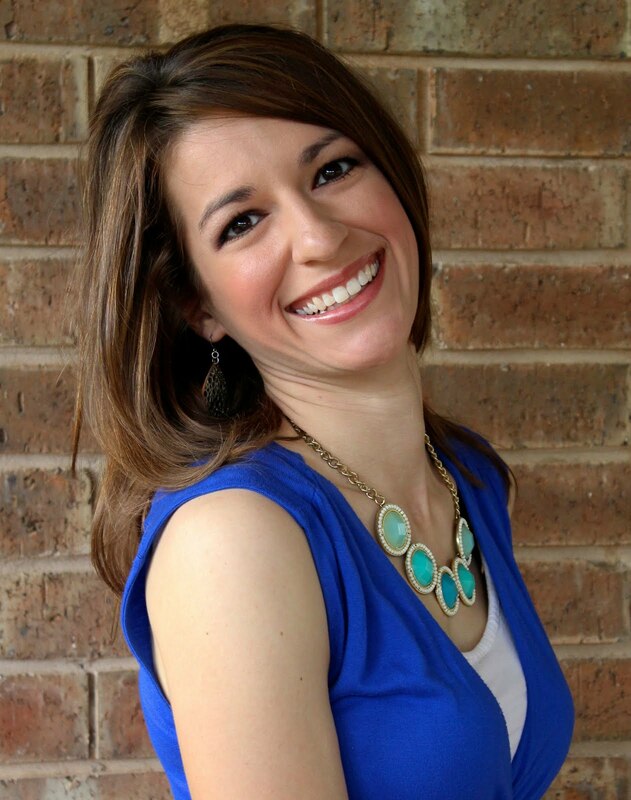 I'm Kimberly - a organizer, decorator, and forever list maker! 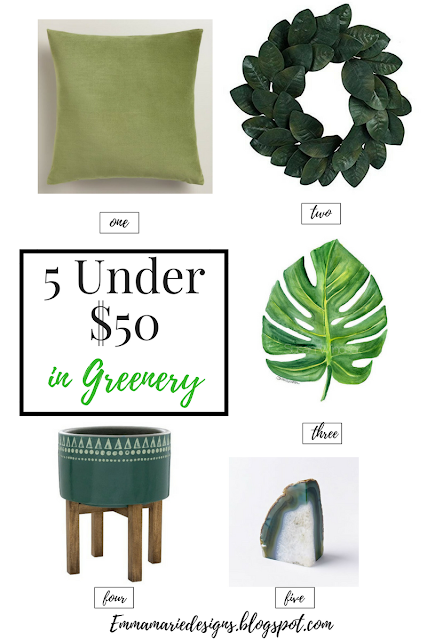 This is where I share tips and tricks, design boards, affordable projects, and simple crafts. All images and text on this site are property of Emma Marie Designs unless otherwise noted. 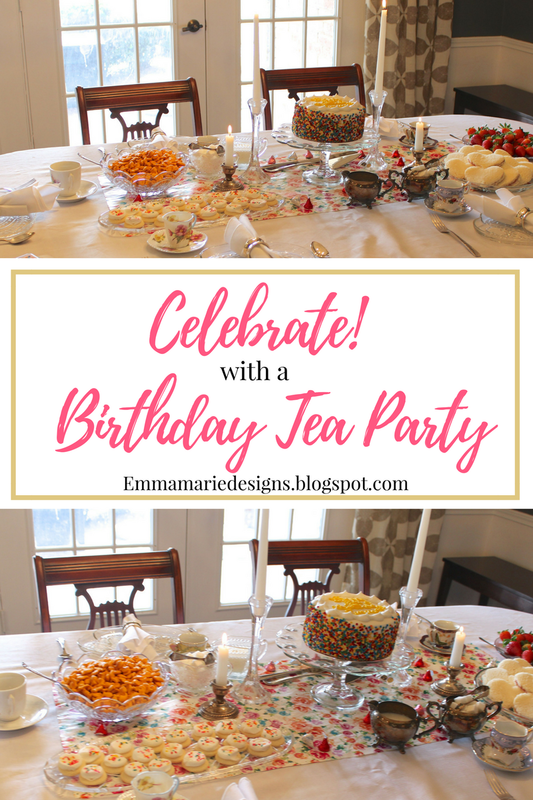 All photos that aren't taken by Emma Marie Designs are credited and linked to their outside sources or are in the public domain at the time of their publishing. You may use one or two images provided that a link back to the original post is included. No permission is granted to remove any watermarks or alter any images in any way. No permission is granted to replicate or copy any content from Emma Marie Designs. All free printables offered are for personal use only. Pinning is always welcome and appreciated!